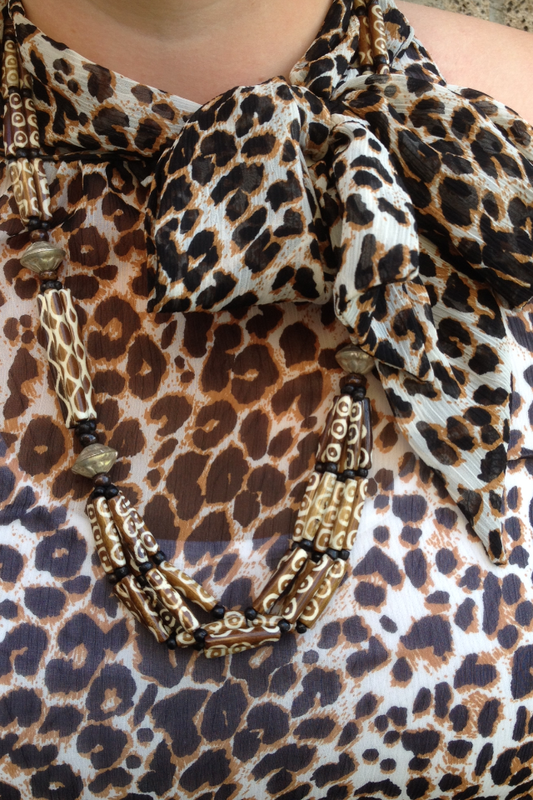 This Leopard print blouse with a feminine bow detail was the inspiration for this safari inspired look. 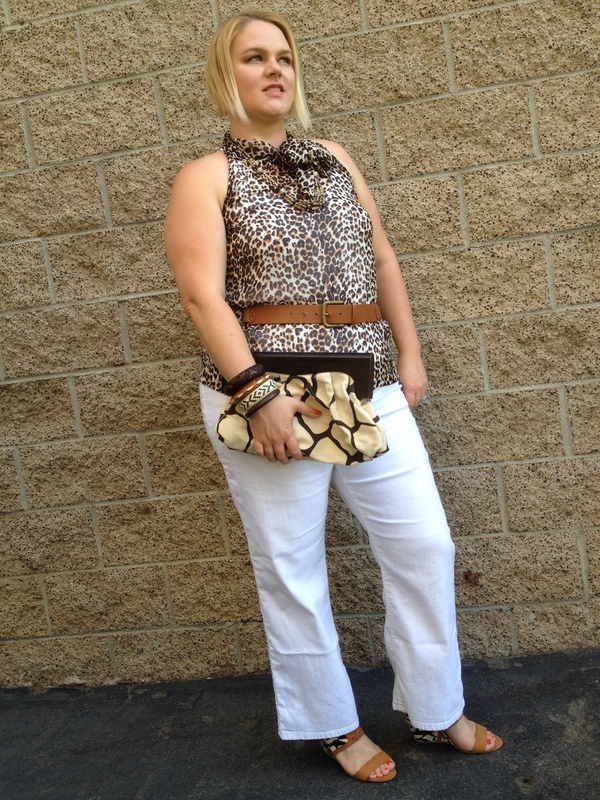 Using a similar color palette throughout, I combined, leopard, giraffe and Ikat print set against crisp white pants for this Summer safari look. 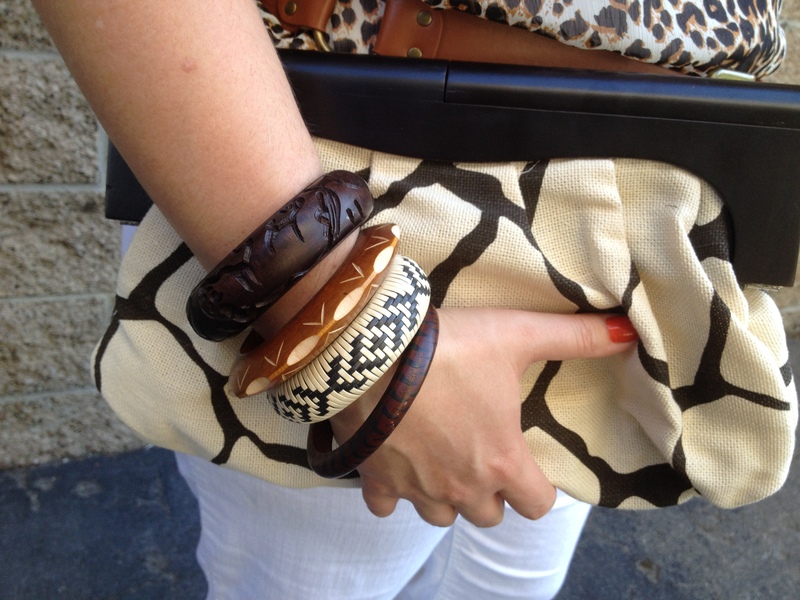 A batik bone necklace and carved bangles I bought in Kenya are the perfect African accessories to complete this look.